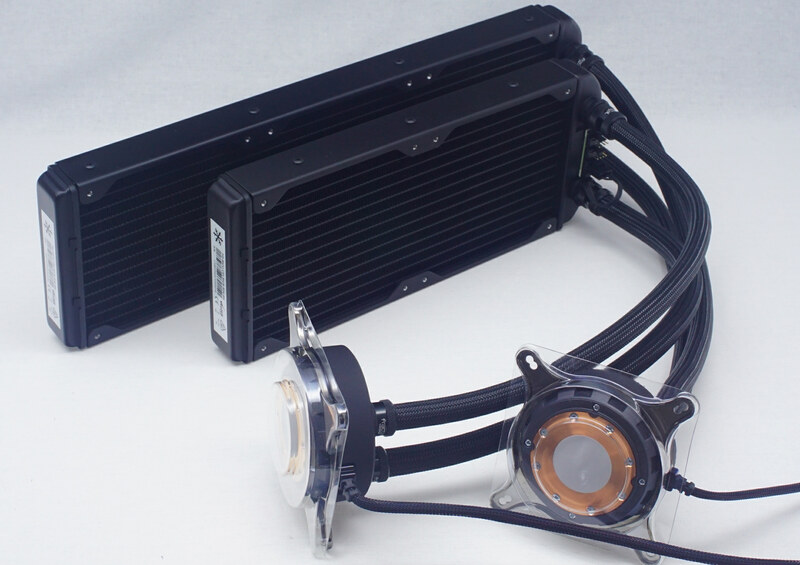 All-in-one (AIO) liquid coolers are very popular amongst advanced PC users for a variety of reasons, with a current market potential that easily rivals that of top tier air coolers. 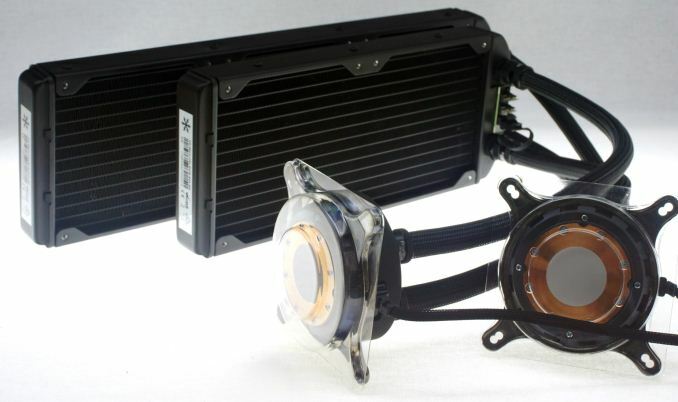 As such, nearly all of the companies involved in the production of advanced cooling products for consumer PCs are currently marketing AIO coolers. However, AIO coolers are so successful that even companies who do not currently produce any air-based cooling solutions have decided to market their own liquid-based AIO coolers. 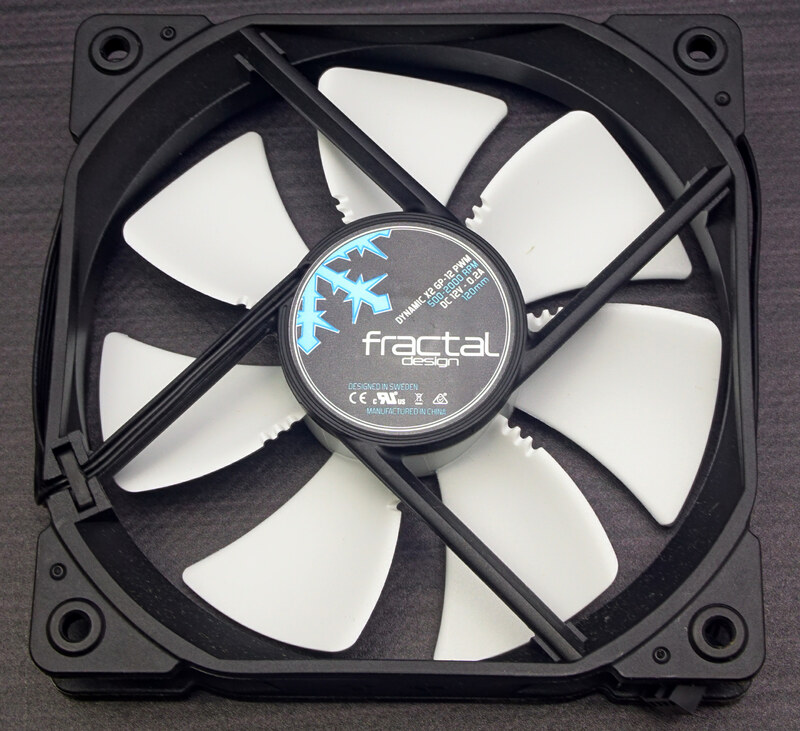 Fractal Design, the renowned Swedish designer and manufacturer of PC cases, is one such company who has decided to offer their own AIO coolers. A couple of years ago they released the Kelvin series, a simple-looking AIO liquid cooler design, yet it was one of the few expandable kits. It also was available with a 360 mm radiator, which is very rare even nowadays. 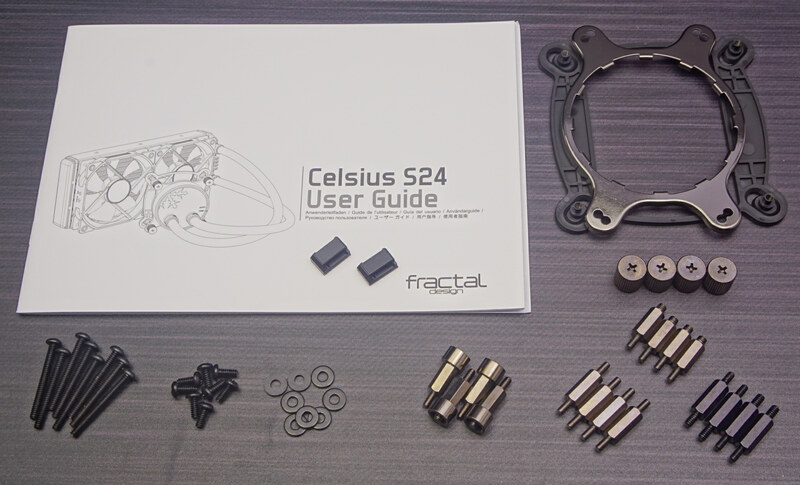 Fractal Design just released an upgrade of the Kelvin series, the Celsius. The Celsius is based on proven hardware (i.e. Asetek parts), comes with Fractal Design’s X2 PWM fans, features interesting fan speed controls and is expandable. The new AIO cooler is available in two versions - the S24 and the S36. The only difference between these two AIO coolers is the size of the radiator that, as their names suggest, can support up to two 120 mm fans or three 120 mm fans respectively. We will examine both coolers closely in this review. We received the Fractal Design Celsius coolers in large, strong cardboard packaging. The artwork on the packaging is subtle and clean, focused on pointing out the main features of the coolers. Inside the box, the coolers are well protected into a custom cardboard insert. Both coolers share an essentially identical bundle, with the only exception being the manual. The S36 also has a few more screws for the third cooling fan. Other than that, inside each box we found the necessary CPU socket mounting hardware, screws and washers for the fans and for mounting the radiator on the case, and two cable management clips. 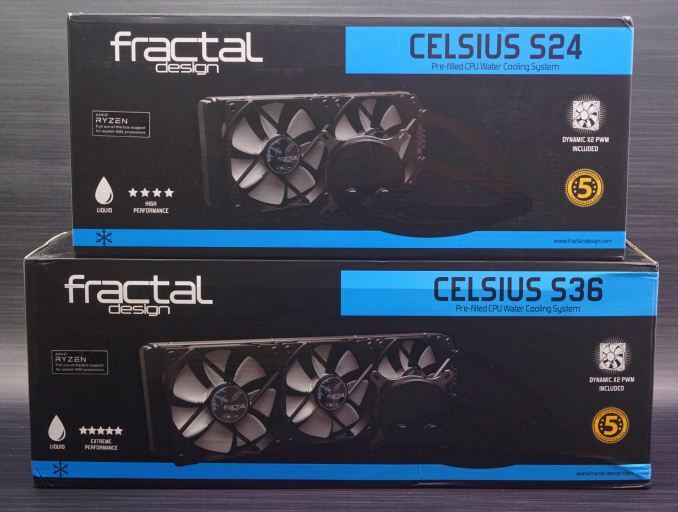 The fans provided with the Celsius AIO liquid cooling kits – two with the S24 and three with the S36 – are Fractal Design’s Dynamic X2 GP-12 fans. These PWM models have a very broad speed range, allowing the fans to operate anywhere between 500 and 2000 RPM. Furthermore, the serrated blades of the fans are supposed to reduce aerodynamic noise. Their engines feature a “LLS” bearing that we weren't able to find any information on – not even what the acronym stands for. A (catastrophic) disassembly of one of the fans revealed that it has what it seems to be an almost typical rifle bearing but with a magnet attached near the top. It would seem that the designer’s simple, yet effective concept was to attach a magnet at the edge of the bearing, using the magnetic force to repel the frame, reducing the friction between the stationary and rotating parts, thus significantly improving the longevity of the design. As such, the “LLS” bearing would typically classify as a “maglev” bearing engine. just trying to get a feel for real world thermal loadings vs the standard shown in the test.